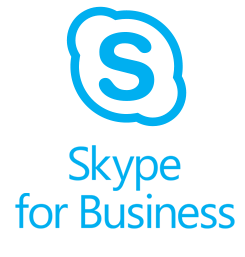 Playing a video in a Skype for Business conference might be not so straightforward task. The caveat is that sharing your videoplayer or browser with youtube will not be enough: video will be displayed choppy and participants will hear no audio. This is because the video will be transmitted not as a stream to each participant but as a set of slides and there is no way to transmit audio here. Open PowerPoint in Normal view. Click the slide that you want the video to be in. On the Insert tab, click the arrow under Video, and then click Video on My PC. In the Insert Video box, double click the video that you want to insert in the slide. In your Skype for Business meeting, click the presentation (monitor) icon, and click Present PowerPoint Files. 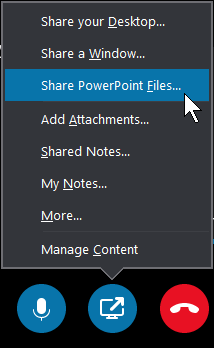 Find your presentation and double-click it to upload it to the meeting. Click Play to start the video and then Pause to stop. Click the speaker icon to change the volume or mute/un-mute the audio. Important: The audio plays for participants who use computer audio, but not for people on the phone. Use the annotation tools on this slide, just like any other slides. You can also press F5 on your keyboard to go to full screen.